Arnold Engineering Development Complex (AEDC), Arnold Engineering Development Center before July 2012, located at Arnold Air Force Base, Tennessee is a ground-based flight test facility operated by the Air Force Test Center. AEDC's mission is to conduct USAF developmental test and evaluation through modeling, simulation, ground and flight test. Testing will evaluate aircraft, missile and space systems and subsystems at the ﬂight conditions they will experience during a mission; conduct a research and technology program to develop advanced testing techniques and instrumentation and to support the design of new test facilities and maintain and modernize the center's existing test facilities. Several areas of the facility are contaminated by substances including polychlorinated biphenyls (PCBs) and volatile organic compounds and spills of jet and rocket fuel, chlorofluorocarbon solvents, nitric acid and other materials. PCBs from the site have been detected in local creeks, in the water, sediment and in fish. The site was proposed for addition to the Superfund National Priorities List in August 1994 though, as of May 2010, the site has not been added to the NPL. The Environmental Protection Agency believes that human exposure to contaminants and contaminated groundwater migration are under control. The National Full-Scale Aerodynamics Complex (NFAC) is located at NASA Ames Research Center, Moffett Field, California. The NFAC was closed by NASA in 2003. In February 2006, AEDC entered into an agreement with NASA to lease the facility for a period of up to 25 years. The Air Engineering Development Center was authorized by an act of the 81st Congress, Public Law 415, approved Oct. 27, 1949 (Appendix 2). 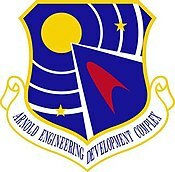 On March 7, 1950, the Air Engineering Development Center was redesignated the Arnold Engineering Development Center (AEDC) effective February 10, 1950, per General Order #23, signed by then-Chief of Staff of the Air Force, General Hoyt S. Vandenberg. Arnold Engineering Development Center (AEDC) was later redesignated Arnold Engineering Development Complex (AEDC) on 6 July 2012. The complex is a part of a master unitary wind tunnel plan that is designated to provide the testing “tools” required to assure the United States continued air and space supremacy. The necessity for an aeronautical test complex of this type was recognized by a number of different agencies of the government, as well as by expert technical groups from the industrial-scientific world. The creation of these research and testing facilities has enabled the U.S. to stay abreast of developments in this fast-moving field. AEDC is the one of the most advanced and largest complex of flight simulation test facilities in the world with a replacement value of more than $7.8 billion. At one time or another, the center has operated 58 aerodynamic and propulsion wind tunnels, rocket and turbine engine test cells, space environmental chambers, arc heaters, ballistic ranges and other specialized units. Twenty-seven of the center's test units have capabilities unmatched elsewhere in the United States; 14 are unique in the world. Facilities can simulate flight conditions from sea level to 300 miles' altitude and from subsonic velocities to Mach 14. • Test and evaluate aircraft, missile and space systems and subsystems at the flight conditions they will experience during a mission to help customers develop and qualify the systems for flight, improve system designs and establish performance before production. It also helps users troubleshoot problems with operational systems. • Conduct a research and technology program to develop advanced testing techniques and instrumentation and to support the design of new test facilities. Continuous improvement helps satisfy testing needs and keeps pace with rapidly advancing aircraft, missile and space system requirements. • Maintain and modernize the center's existing test facilities. AEDC is an important national resource and has contributed to the development of practically every one of the nation's top priority aerospace programs, including better spacelift, aircraft, missiles and satellites. Many of these programs are highlighted in the following sections. AEDC is an Air Force Materiel Command (AFMC) organization managed by the Air Force but operated largely by a contractor work force. While AEDC's primary location is in Tennessee, it also operates two geographically separated facilities—the Hypervelocity Wind Tunnel 9 in Maryland, and the National Full-Scale Aerodynamics Complex (NFAC), in California. AEDC's economic impact to the local area for fiscal year 2008 exceeded $728 million. The total economic impact includes the center's payroll, secondary jobs created locally though the spending of that payroll, and other expenditures for supplies, utilities, fuel and services. In 1947 Stuart Symington became the first secretary of the newly independent Air Force, and he strove hard to bring into reality some of my proposals, particularly the new facilities for Air Force research which I had urged in the report. The center operates 58 aerodynamic and propulsion wind tunnels, rocket and turbine engine test cells, space environmental chambers, arc heaters, ballistic ranges, and other specialized units. 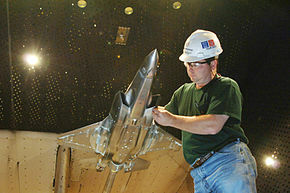 Currently, AEDC's prime contractor is the Aerospace Testing Alliance. The center has helped to develop most aerospace systems in the U.S. government's inventory, including the Atlas, Titan, Minuteman and Peacekeeper ICBMs, the Space Shuttle, space station, and Projects Mercury, Gemini and Apollo. It is named for General Henry "Hap" Arnold, the father of the US Air Force and an air power visionary. The University of Tennessee Space Institute (UTSI) is located adjacent to AEDC. The center lies near Manchester, Tennessee and Tullahoma, Tennessee, and occupies much of the site of the former Camp Forrest, a U.S. Army base and World War II POW camp. It is unique in that the majority of the workforce are contract personnel, with a small contingent of active-duty assigned. Constituted as the Air Engineering Development Division on 27 October 1949 by the 81st Congress, Public Law 415. Redesignated Arnold Engineering Development Center on 7 March 1950 effective 10 February 1950, per General Order #23, signed by then Chief of Staff of the Air Force General Hoyt S. Vandenburg. ^ "NPL Site Narrative for Arnold Engineering Develop. Ctr. (USAF)" (PDF). EPA. Retrieved 2010-05-06. ^ a b "Arnold Engineering Development Center (USAF) Superfund Site Progress Profile". EPA. Archived from the original on 2012-02-22. Retrieved 2010-05-06. ^ "ARNOLD ENGINEERING DEVELOPMENT COMPLEX". Archived from the original on 2014-10-06. This article incorporates public domain material from the United States Government document "Arnold Engineering Development Center". This page was last edited on 2 April 2018, at 17:14 (UTC).